“We live in trying times. Times of fear, of suppression” reads the voice of Chelsea Manning, former army whistleblower now running for the US senate for Maryland. Her recently published campaign ad is made up of glitched footage from the violent white supremacist rally in Charlottesville together with flickering images of racial violence and police brutality. “We need to stop expecting that our systems will somehow fix themselves,” Manning’s voice continues as the White House courtyard fountain plays in the background; cascading water vacuumed backwards in slow motion. After being held in prison for seven years in what the United Nations has denounced as “inhumane” conditions, Manning – a figure who today not only stands for political transparency but for LGBTQI+ rights – has a longstanding Democratic candidate to beat if she’s to become the first transgender woman to ever be elected into the US senate. She will be running against incumbent 74 year old Democratic Sen. Benjamin Cardin who is running for his third senate term, and is the highest-ranking Democrat on the Senate Foreign Relations Committee. If elected, Manning would be the first and only representative voice for the transgender community within the senate, yet she is not alone in her quest diversify the US political sphere. 2017 saw the election of 8 transgender women into city councils, school boards and the staggering win of Democrat Danica Roem into the Virginia House of Delegates. 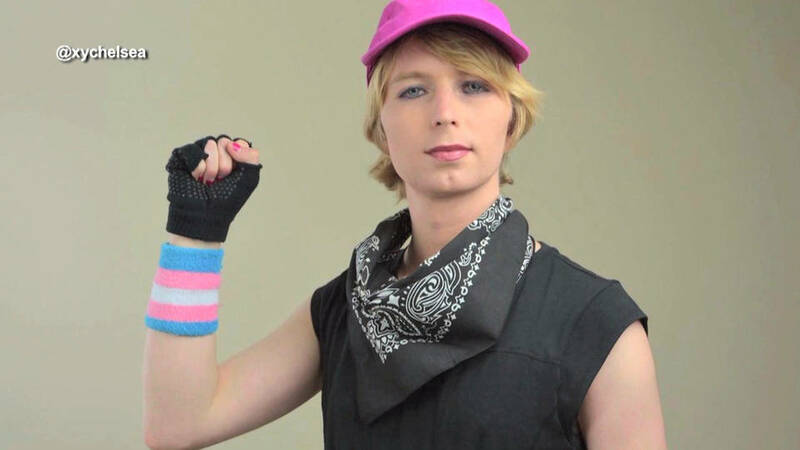 During her imprisonment, Manning became a monumental force for the rights of LGBTQI+ identifying persons – her work with WikiLeaks proved to be just a glimpse into the fearlessness with which she approaches a political realm congested with conformity, with repression and silencing. Manning is also fighting to become a voice for the previously convicted, something entirely absent from current political representation. It really is time we take matters into our own hands, and with that, #WeGotThis.